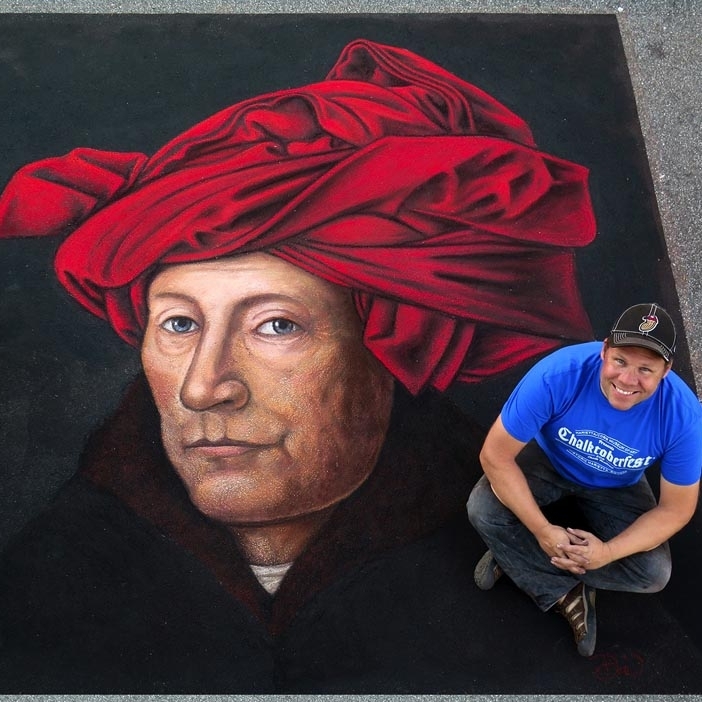 Born and raised in the Land of the Midnight Sun, Dave Brenner hails from Fairbanks, Alaska and currently resides with his chalk artist wife, Shelley Brenner, in Chelsea Michigan. He holds a BFA with a concentration in painting and a BA in theater from the University of Alaska – Fairbanks. Dave discovered that his dual passions for painting and acting translated seamlessly into street painting. He is inspired by the prospect of bringing the impossible to life via the interactive nature of his 3D designs and often employs themes of fantasy or illusion. 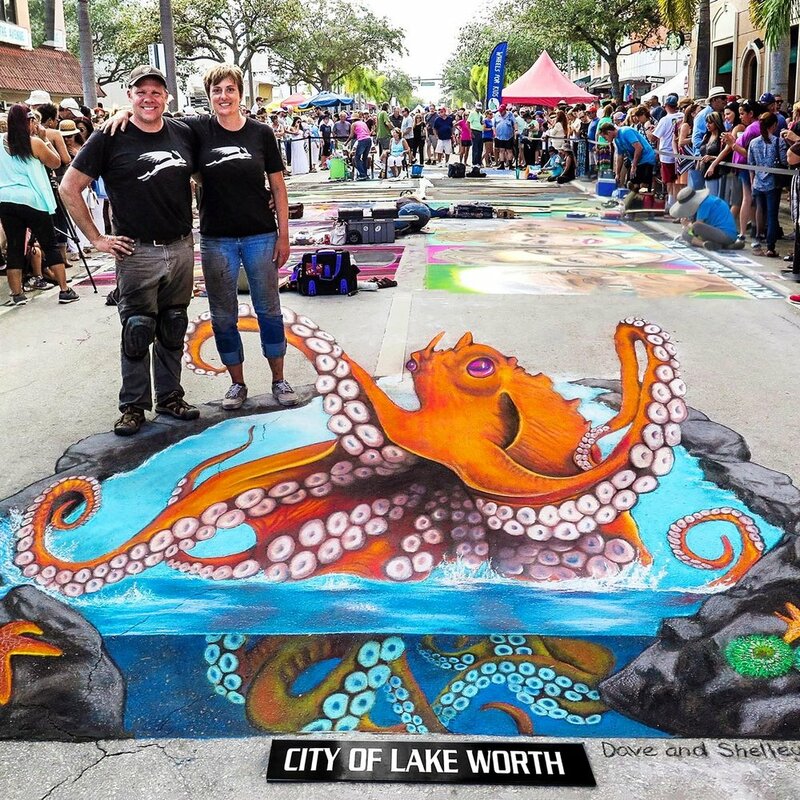 He is regularly featured in street painting festivals both within the U.S. and internationally. Dave also enjoys collaborating with his wife on large scale projects as part of their Pigment of Your Imagination team. His fine art and photography has been featured at multiple venues throughout Alaska and the Midwest. He and his wife, Shelley Brenner were two of the few American artists chosen to participate in the Dubai Canvas, the most prestigious street art festival in the world!